Chinese tech company OPPO has been on the cutting edge of smartphone battery charging since it released its VOOC Flash Charge in 2014. Chinese tech company OPPO has been on the cutting edge of smartphone battery charging since it released its VOOC Flash Charge in 2014. Using VOOC, you can charge your battery from 0-75% in 30 minutes. That sounds pretty good, but OPPO just announced that it's nearly completed research and development on its next generation of a quick charger, the Super VOOC Flash Charge. According to OPPO, Super VOOC can fully charge a dead 2,500 mAh battery in just 15 minutes. If that weren't enough, the low-voltage "pulse" system used to charge batteries isn't affected by other activity on the phone. So, you can still make calls, watch videos - whatever - and the charger won't revert to a slower speed, like some other quick chargers. The multipurpose usage of smartphones now has made it more than just a calling-and-messaging device. Because of its continuous use throughout the day battery life now is being considered as one of the most important aspects in addition. On the flipside, however, while the phone with a large battery will last longer, it will also take considerably longer time to get charged. That’s where fast charging comes in, which promises to juice up the phone quickly. 😇 As we talk about fast charging, OPPO’s VOOC Flash Charge technology is one of the best in business. It claims to charge up to 75% of a typical 3,000 mAh battery within half-hour, which indeed is impressive. And with the recently launched OPPO F9, it additionally claims to provide 2 hours of talk time for just five minutes of charging. 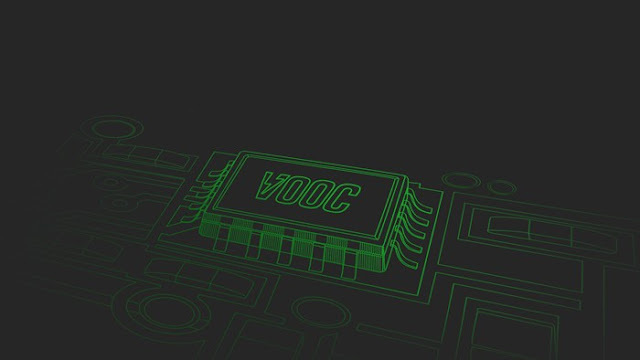 However what exactly is VOOC technology and is it safe? We tend to aim to satisfy your curiosity through this handy infographic. 15 minutes? Amazing Muneeb. Tech is awesome.